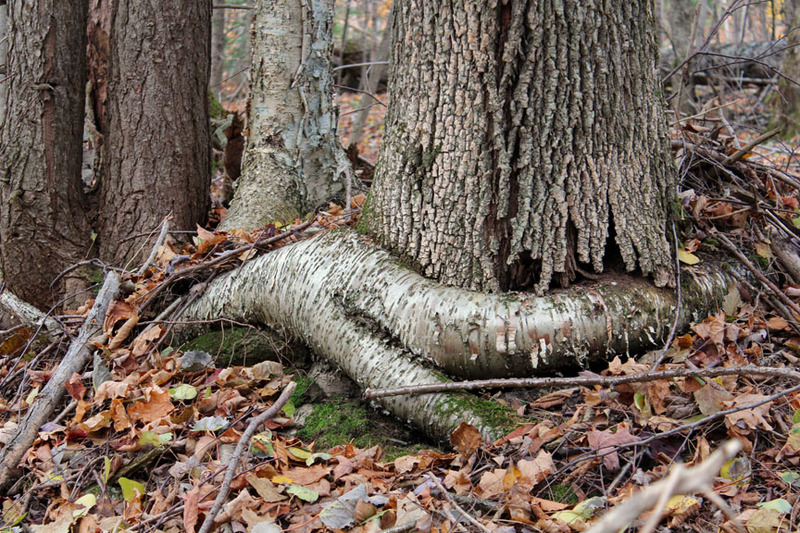 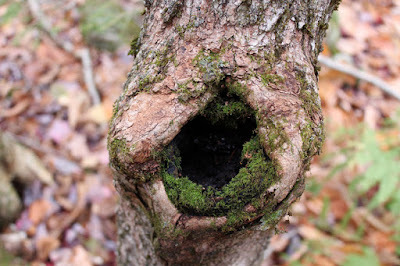 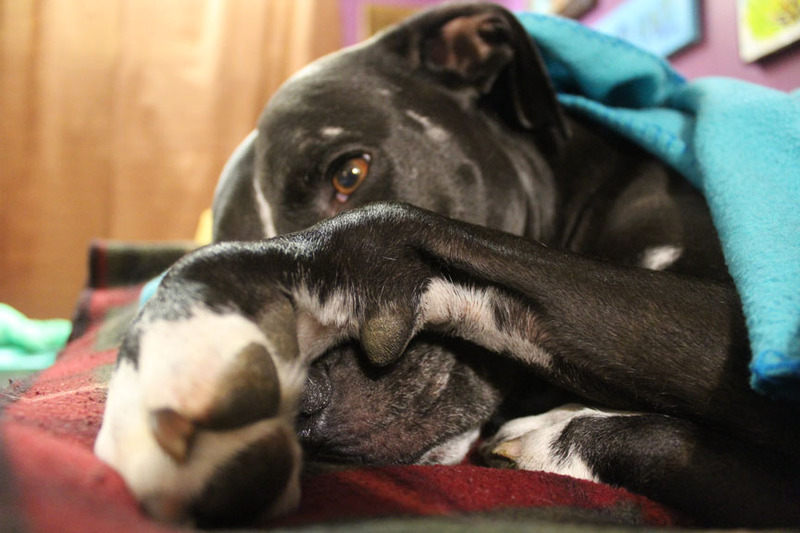 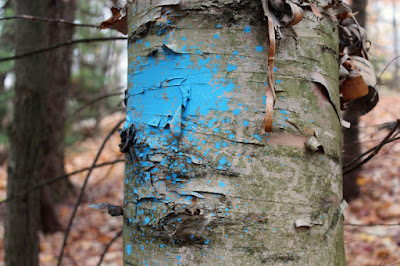 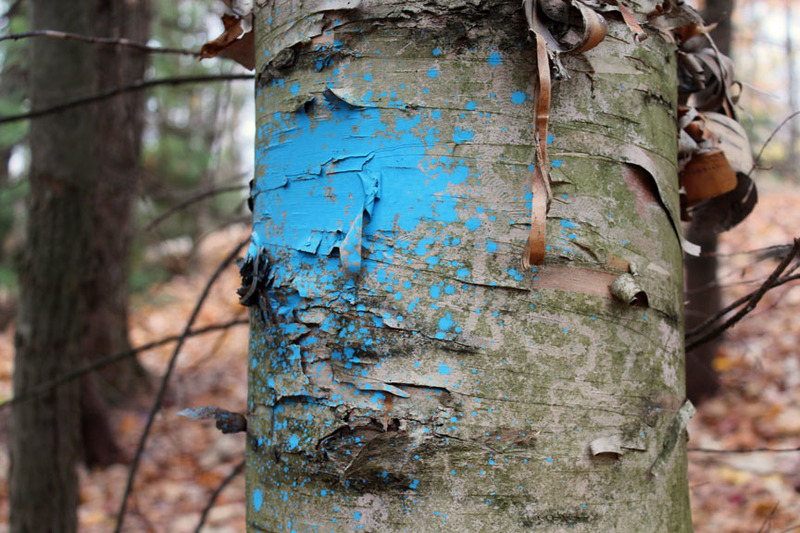 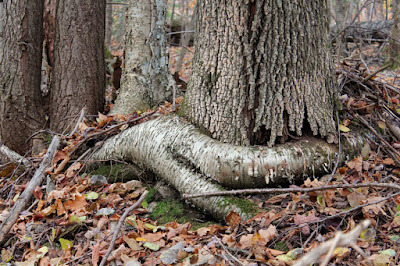 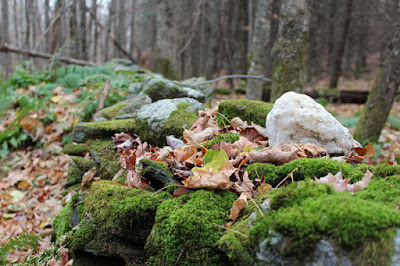 In case you thought I dropped off the face of the earth, here are a zillion pictures from our field trip today. 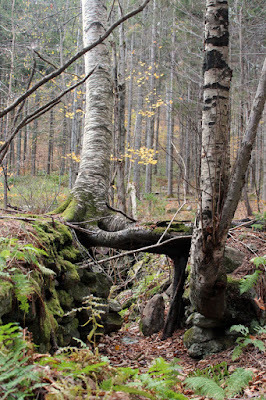 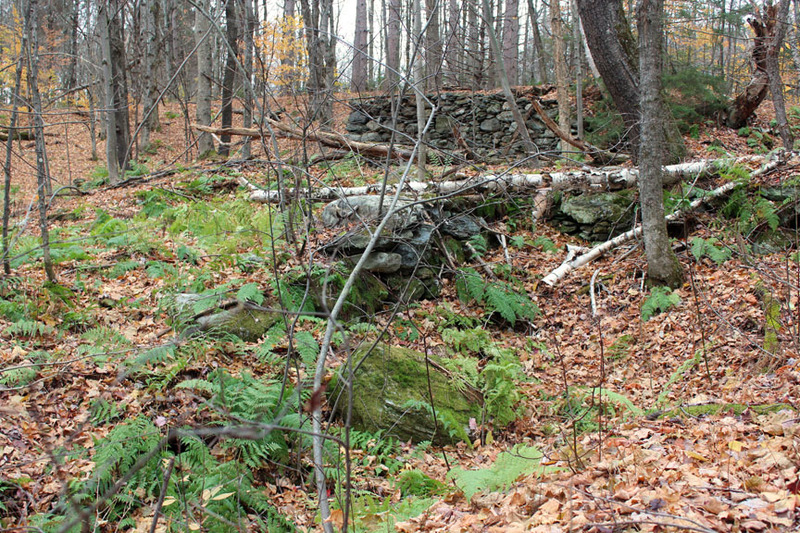 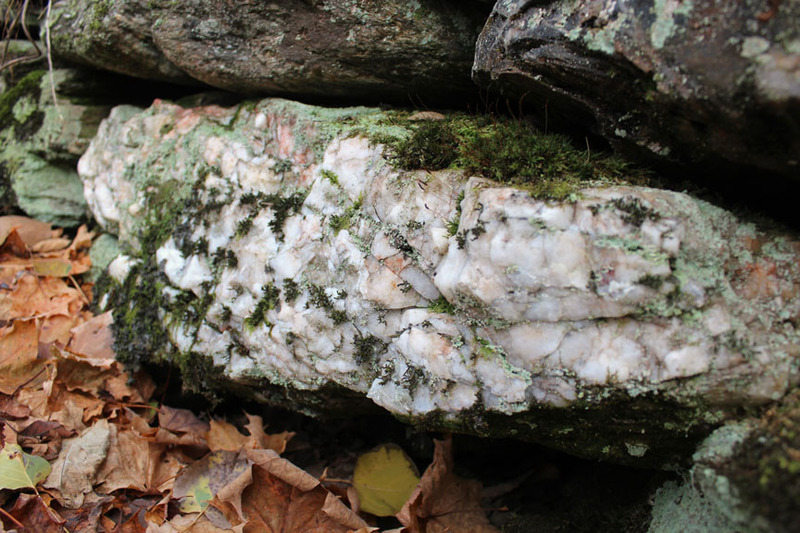 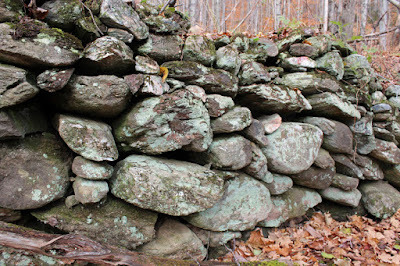 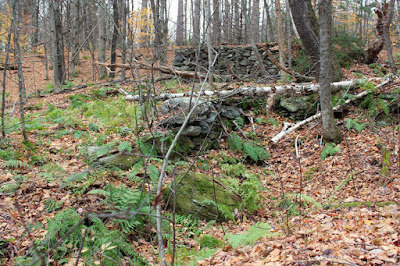 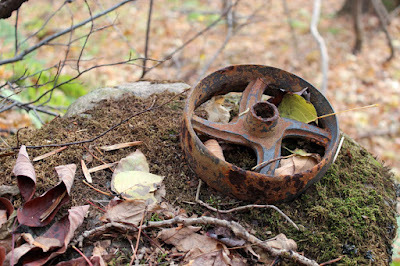 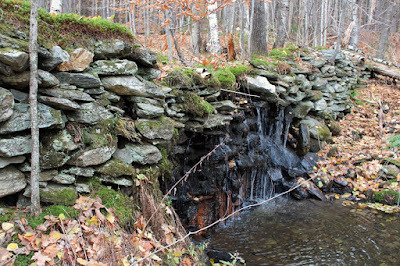 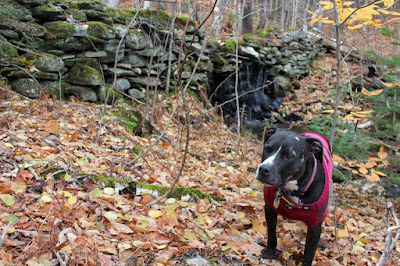 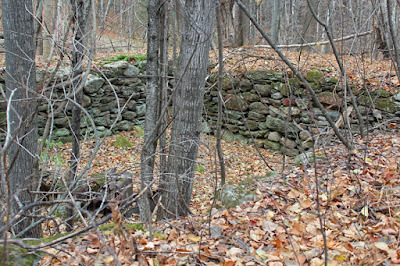 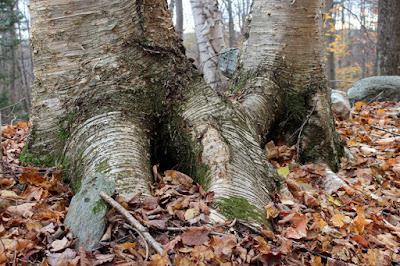 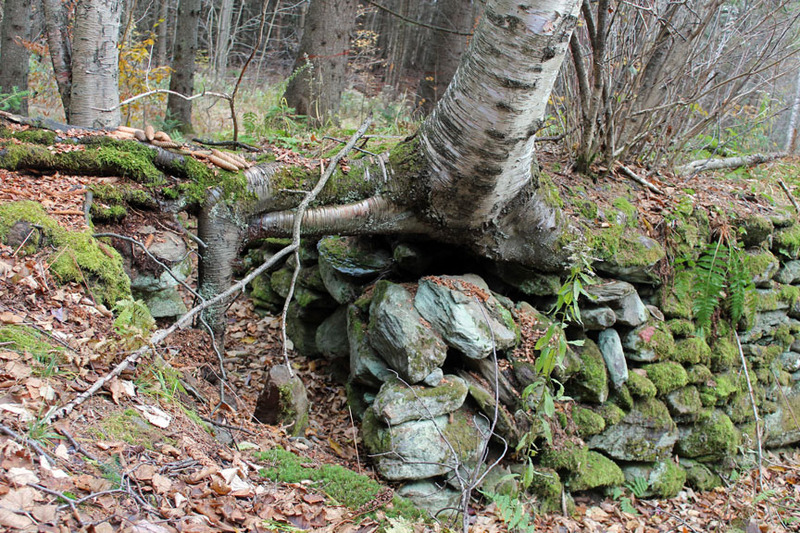 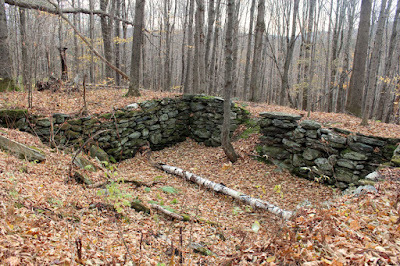 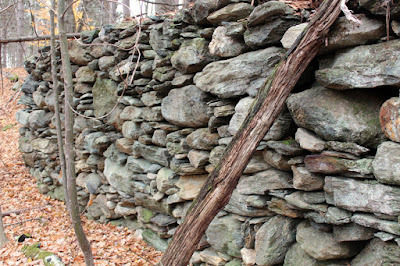 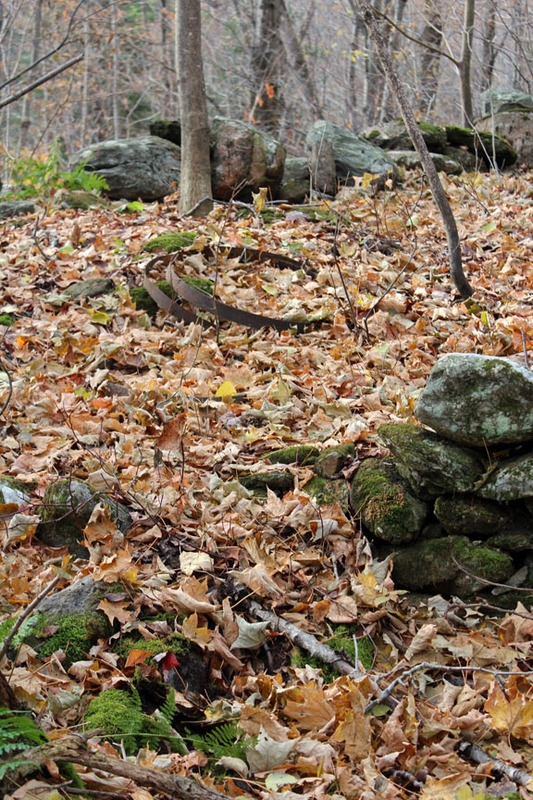 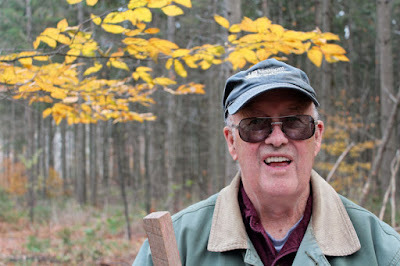 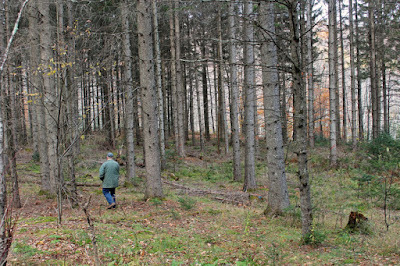 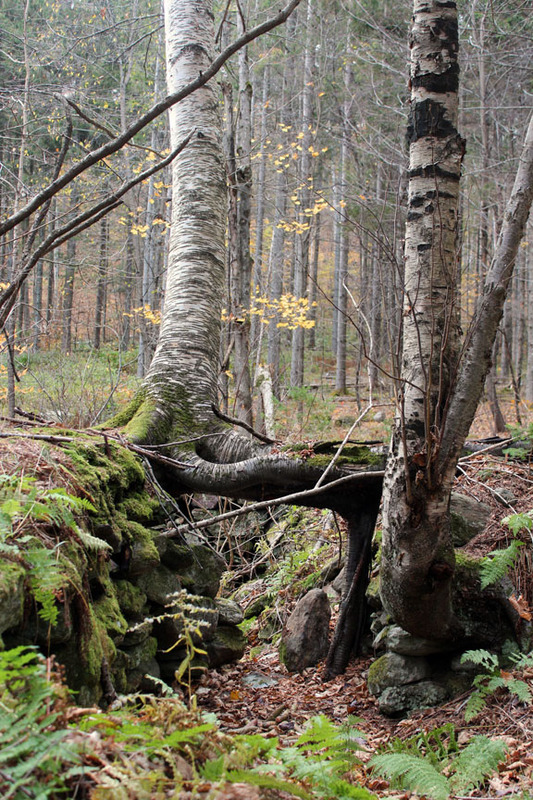 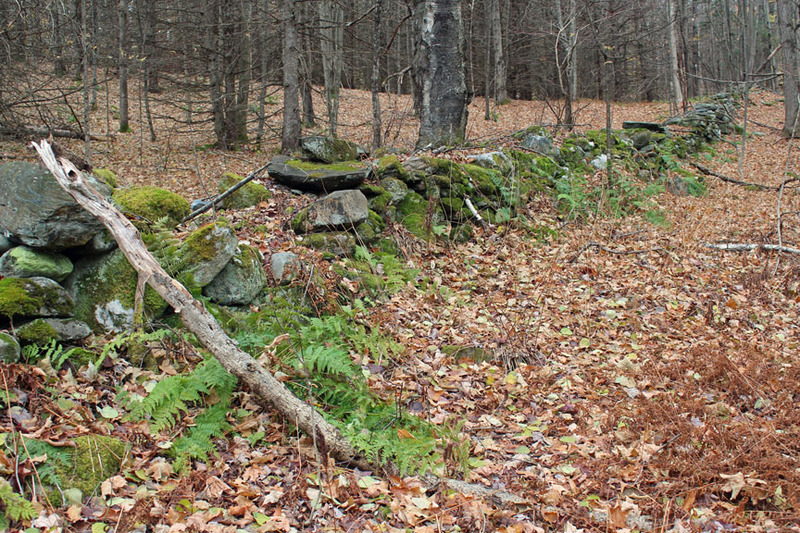 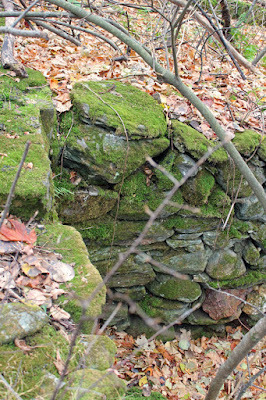 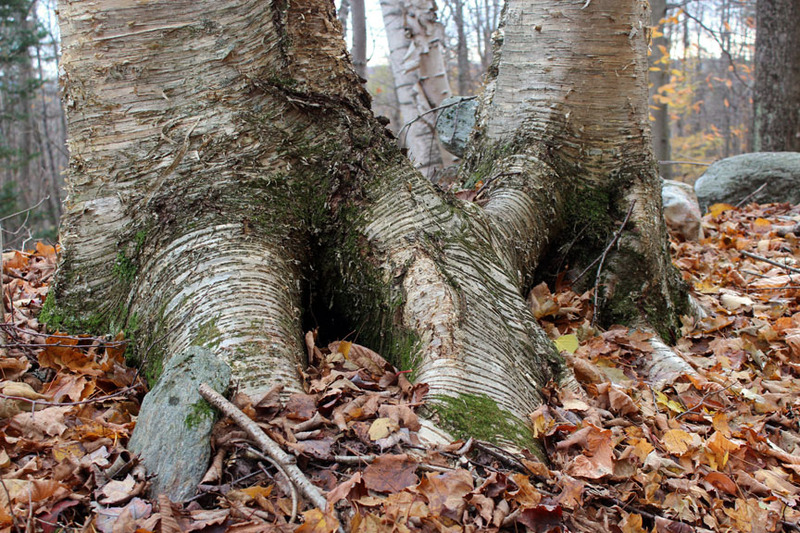 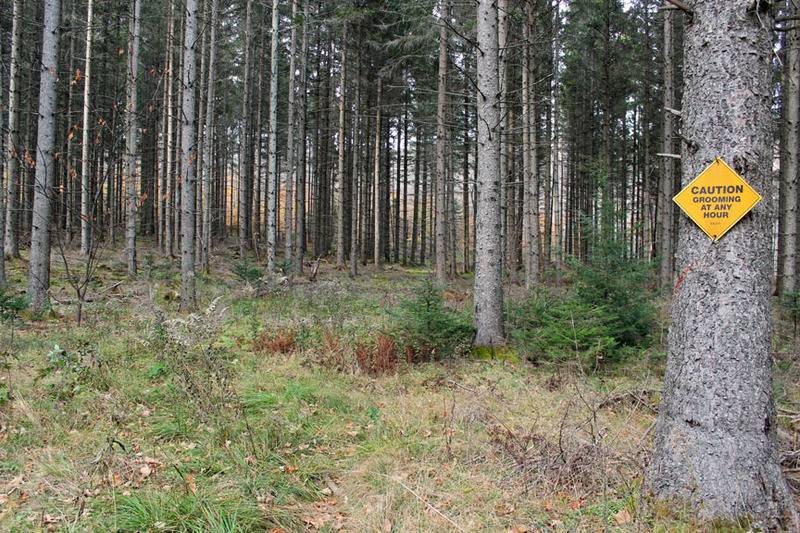 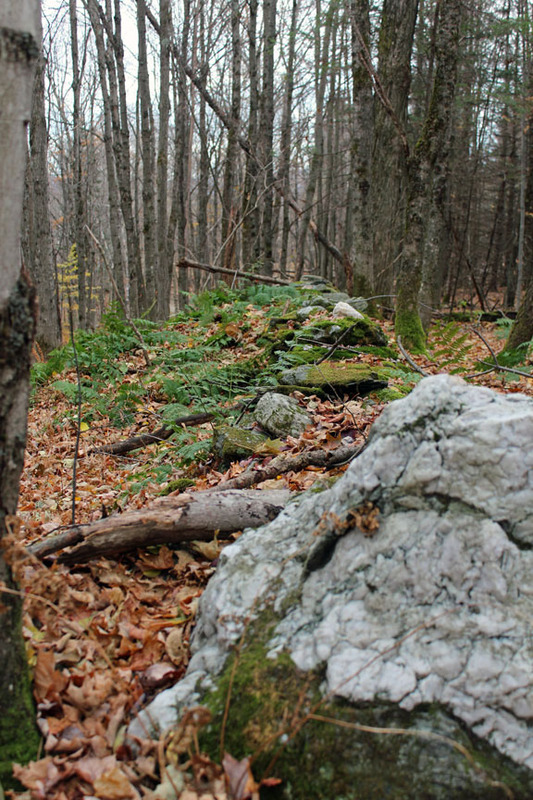 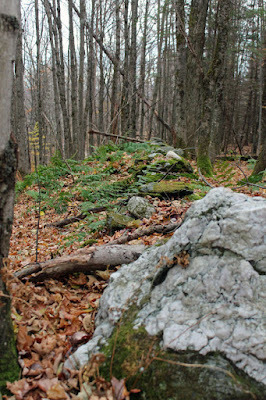 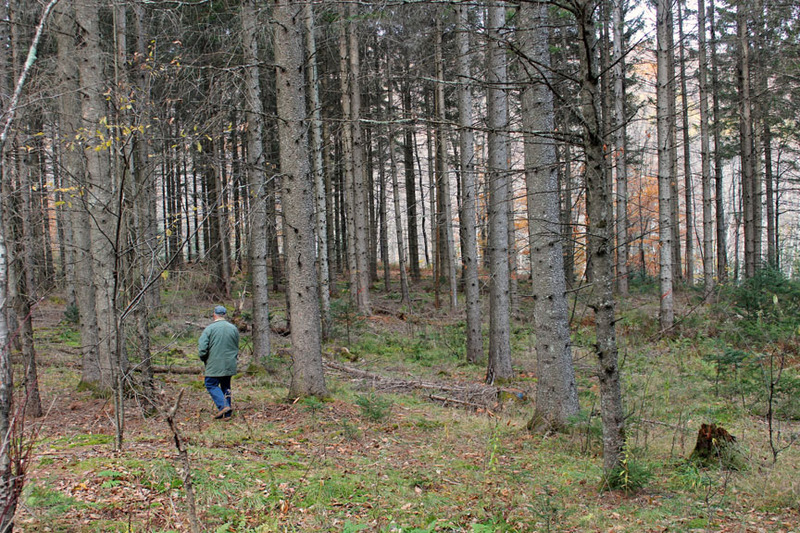 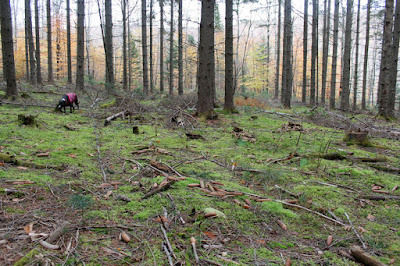 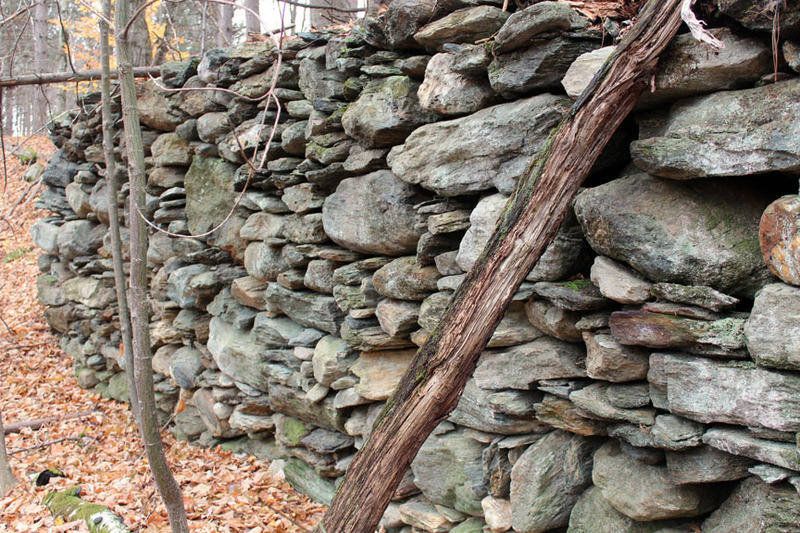 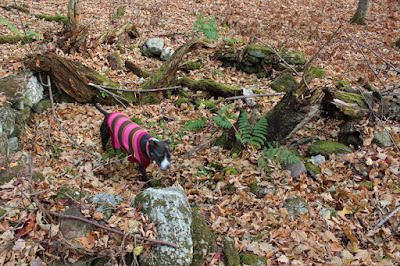 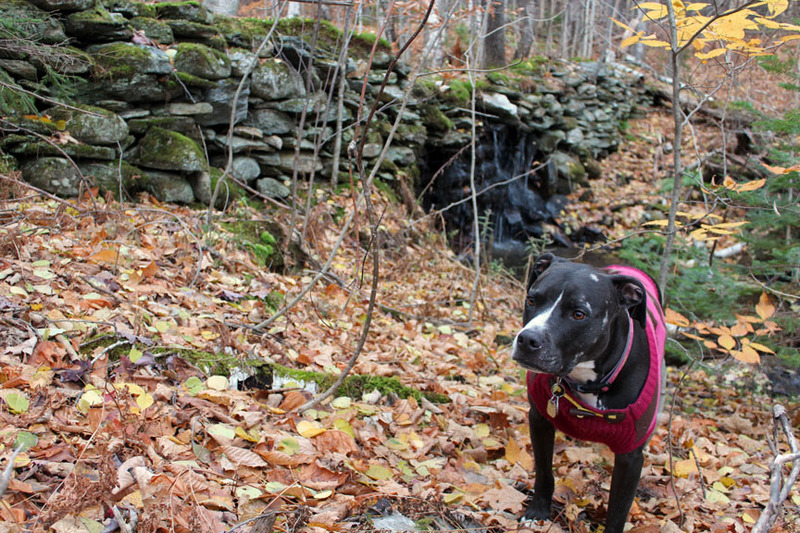 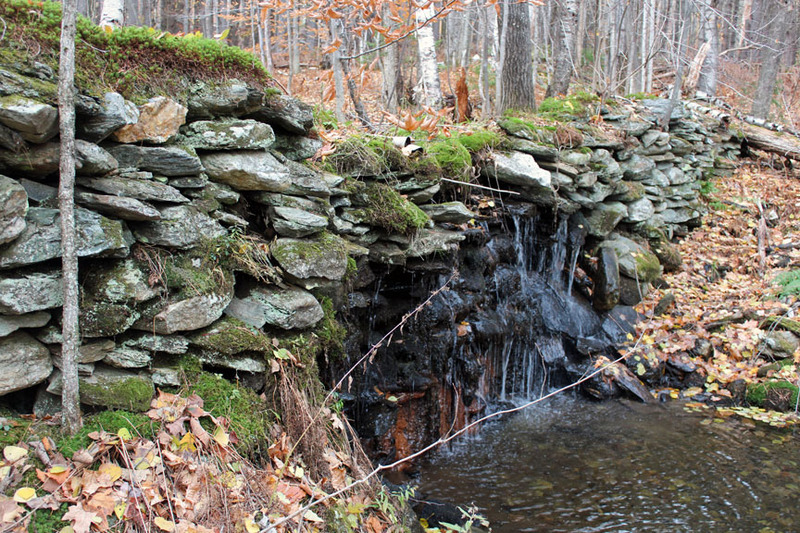 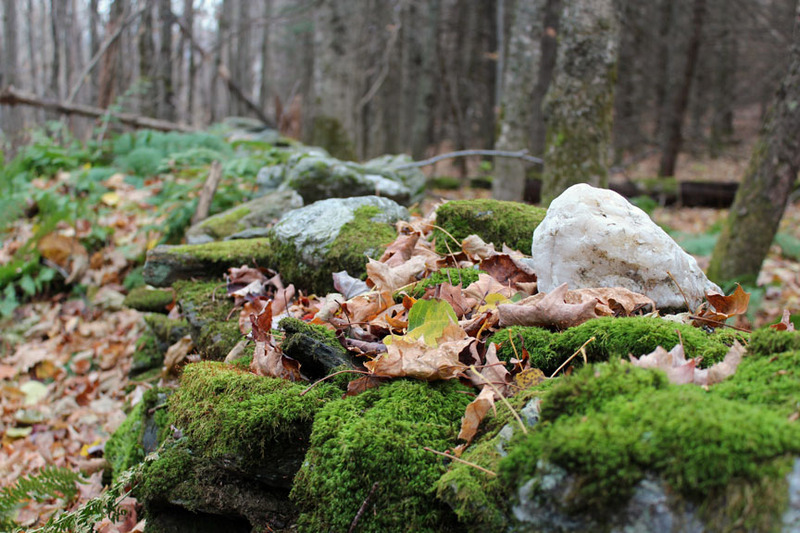 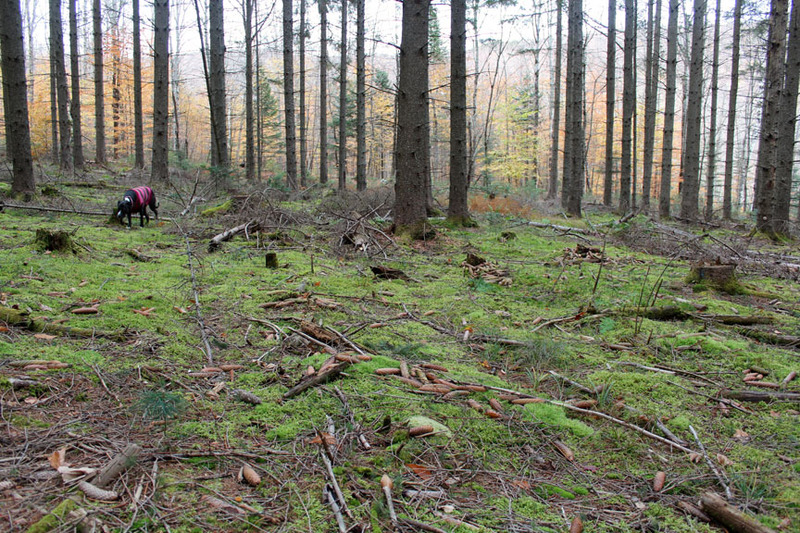 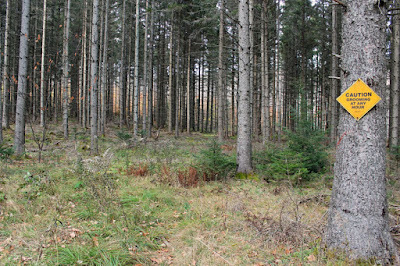 My neighbor Ron took us on a tour of the old foundations and stone walls in the Morristown Forest. 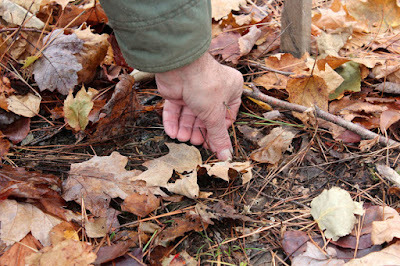 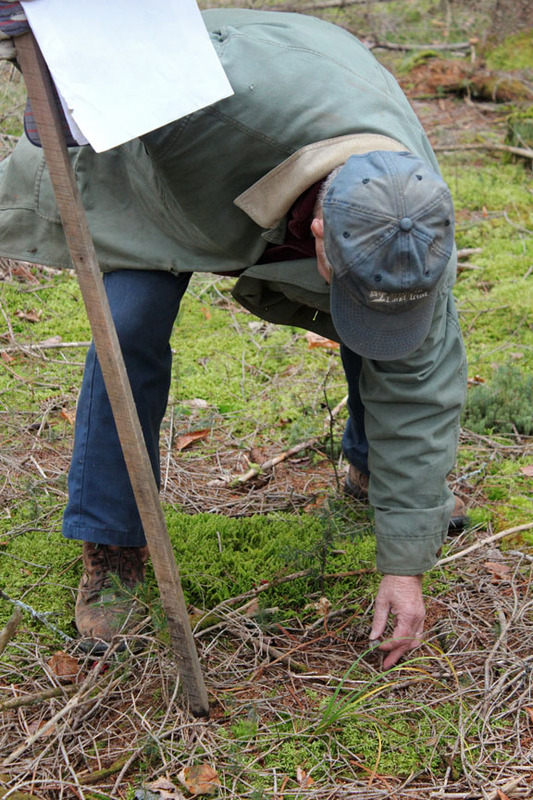 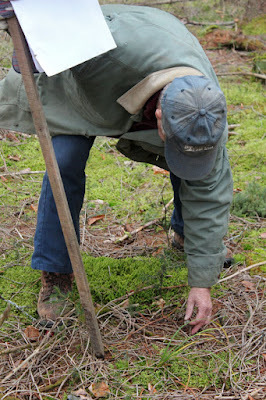 Ron was also planting chestnut seeds; he is on a mission to bring back the American Chestnut population in Vermont (click on this link to get a little chestnut history). 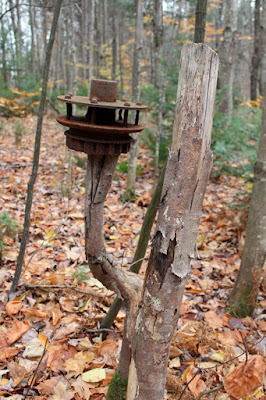 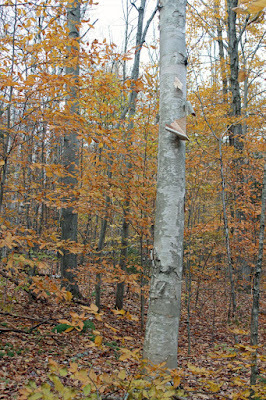 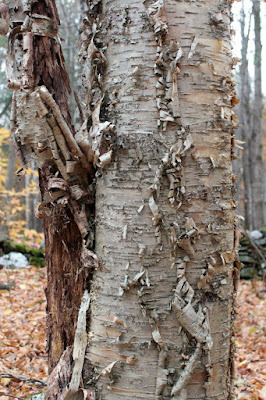 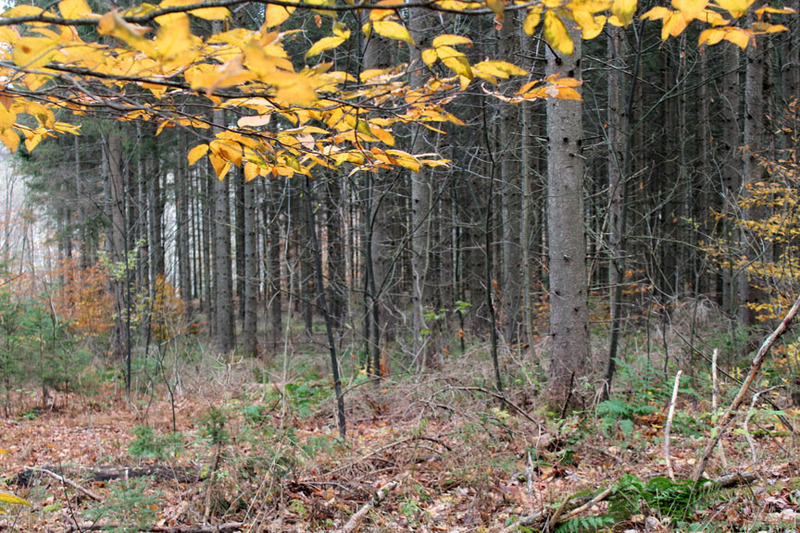 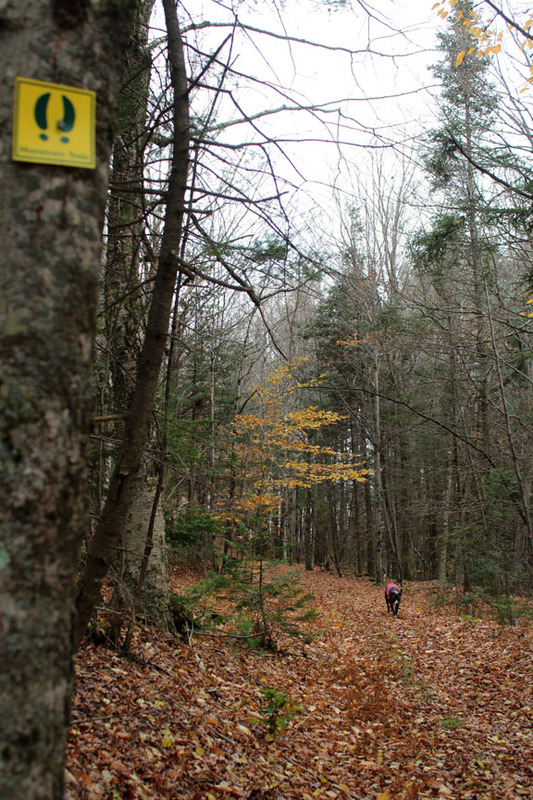 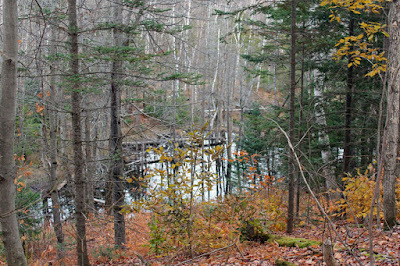 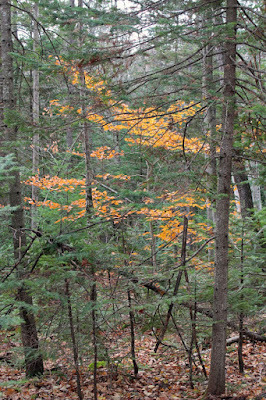 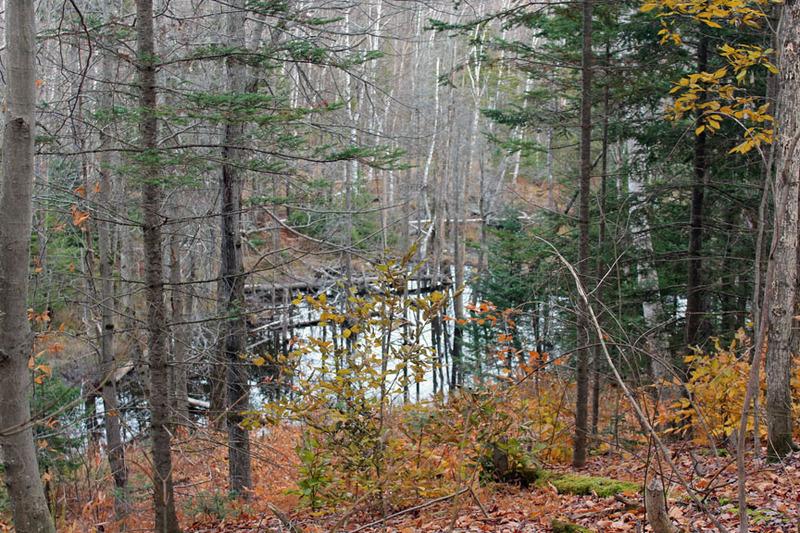 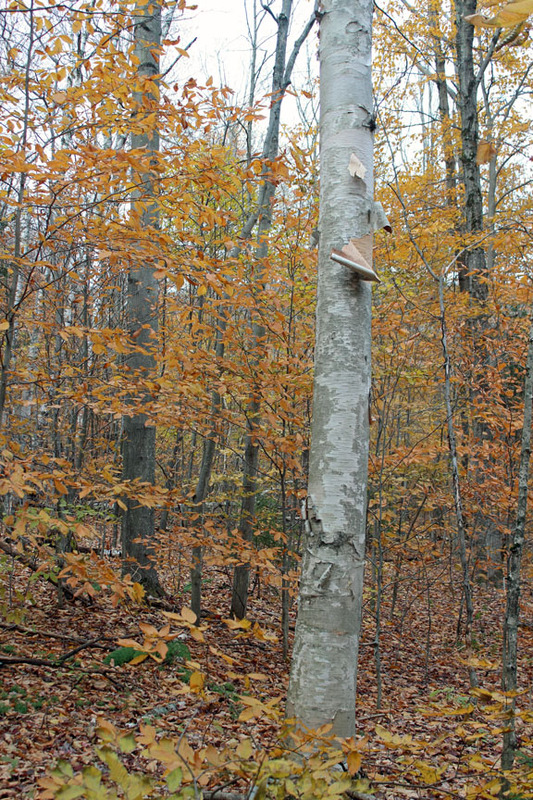 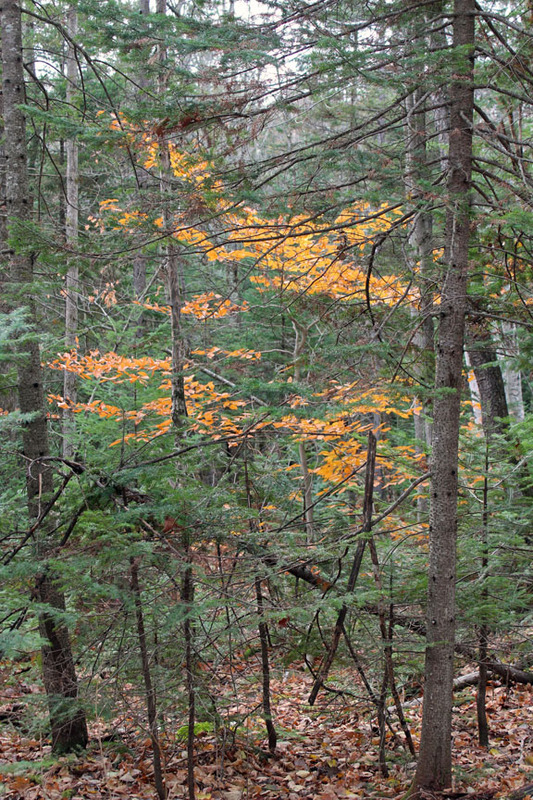 There were still a few bits of color in the forest but this would have been a fabulous excursion mid-foliage season. 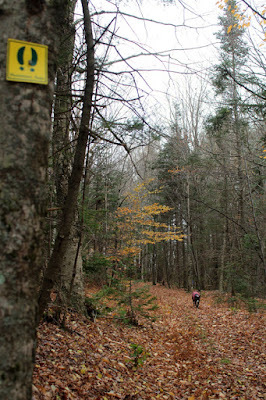 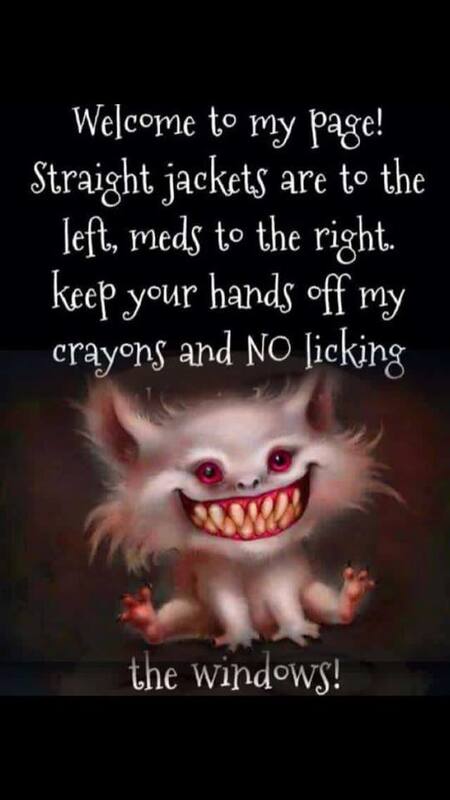 And it will be awesome on snowshoes. You know, assuming we get snow this winter.